With climate change on one hand giving enough reasons for humans to worry about a safe future, there is an inevitable increase in the demand on the world’s natural resources for want of energy. 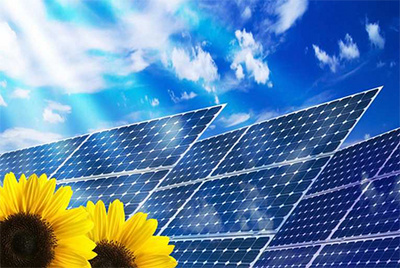 Renewable energy being the way of the future, all eyes are up on the huge object that illuminates our globe, holding in place of gravity for millions and millions of years. Though there are speculations about sun burning out, may be after 5 or 7 billion years, harnessing solar energy and finding better ways to do it seems the rule of the day because sun seems to be infinite source of renewable energy. If only 2% of the solar energy is harnessed its time we focused on improving the ability to harvest, store and distribute solar energy. I n Hindu mythology, Surya represents the sun god who is associated with life, healing and good fortune. In central India the Sun is still invoked as the Holy One, the Creator, and Preserver. Thus, sun has always taken its rightful place. No wonder, India is one of the countries with the higher solar electricity production per watt installed, with an insulation of 1700 to 1900 kilowatt hours per kilowatt peak (kWh/KWp). India’s demand for renewable energy is expected to grow seven times by 2035, according to the latest edition of BP Energy Outlook. As of 28 February 2017, the country's solar grid had a cumulative capacity of 9.57 gigawatts (GW). Across the world, the fire and light of the sun is seen as the manifestation of a divine and omnipotent power triumphing over darkness. In every sense, sun is the solution to worldwide energy crisis. Institute of Energy Studies, Anna University, Chennai under the leadership of its director R Velraj did it’s bit to tackle the mismatch between demand and supply of renewable energy. He is the principal investigator of projects that focus on generating power in villages by adapting a micro grid concept. Power generated from solar and wind should be transferred to all houses and offices of the villages through the local transmission line called micro grid. Thus energy storage concept can be introduced as well independence from Tamil Nadu Generation and Distribution Corporation Limited can be enjoyed. Only large industrial facilities rely on captive power generation to stand shortages of electricity from the grid. Blessed with 300 clear sunny days in a year, India is among the top 5 destinations worldwide for solar energy development. To turn our backs to fossil fuels, every family should have a solar panel on their roof. “India lives in her villages”. Quite rightly, Pandri, a village in the Purulia district of West Bengal was installed with first solar-powered electricity and also became the first in the country to evolve as a decentralized solar power village. For every other village to follow suit, people should be educated about solar energy, tapping it and the advantages of decarbonizing the power sector. That Solar Energy can be tapped via two routes solar thermal and solar photovoltaic is knowledge but educating villagers about nanogrids-the technology involved in the project and how people's health and life would improve as a result of better access to water and employment generated with 24*7 electricity is an urgent need. Unbelievably there are more than 10,000 villages that are not electrified in the real sense. Reasons why solar panels are finding their way on the roofs of commercial, government and institutional buildings despite awareness, are many. Terraces and roof tops are used for other purposes like drying clothes, installing water tanks and split ACs. Solar companies neither want to invest in plants less than 10 KW capacity nor wish to get into the complexities of dealing with multiple residents or stakeholders for every power plant. Jaipur-based Ray Power Infrastructure has installed 55 KW-60 KW of solar rooftop power in the residential sector making solar power a reality in just 6 homes and Delhi-based company 8Minutes, has installed rooftop solar plants in a few homes. For rooftop solar to go mainstream, home owners to feel comfortable that the technology itself has been proven and that we have reached sort of a tipping point here with solar energy being very affordable, reliable, and clean, governments should advocate the relevance of solar energy and subsidies that come with it.